Tempting as it may be to plant an avocado tree in your backyard to have the fruit easily accessible, the trees require a specific climate and may not be suitable for many areas. In addition, it can take as long as 20 years for trees grown from a seed to produce fruit, the California Rare Fruit Growers report. Before going forward with plans to plant an avocado tree, consider whether the climate in your area is suitable. Avocado trees need tropical or subtropical climates and cannot tolerate cold weather, the Texas A&M University AgriLife Extension reports. 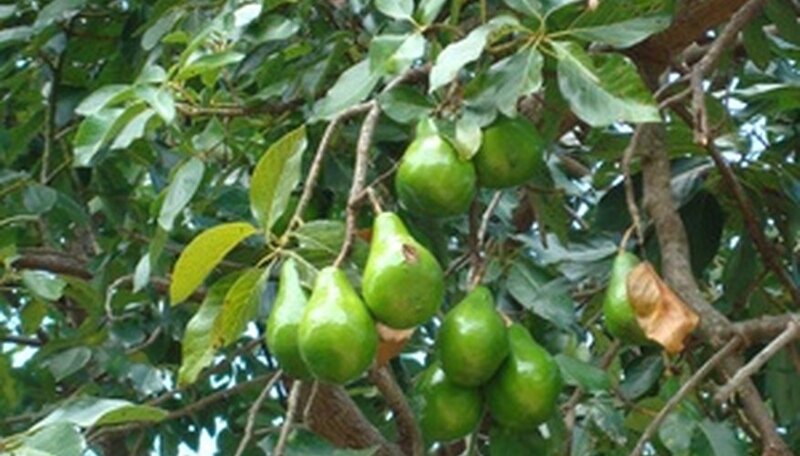 In general, avocado trees aren't suitable for areas where winter frost is likely or common. Some varieties can tolerate mild frost, but others die or get damaged in these conditions. Ideally, avocado trees should be planted in the spring, between March and June, the California Avocado Commission advises. Avoid planting during the hot summer months, when the excessive heat can damage the plant. Before you plant an avocado tree as part of your spring plantings, make sure you have an ideal site for growing the fruit tree. First, look for a spot that gets full sun. The trees can grow in shade, but they will not produce fruit. In cooler climates, full sun is essential during the winter. Areas susceptible to heavy winds are best avoided because the trees can be damaged and may not produce fruit. Once the ideal planting time has arrived, make sure to plant it properly. The tree should be set in a hole at least 2 feet deep. The surrounding soil should be mounded around the tree, and it needs regularly waterings in the weeks after it is planted so its roots can establish themselves. Mulch around the base of the tree helps prevent weeds and prevents water from quickly evaporating from the soil. University of Hawaii Extension; Avocado; C.L. Chia, K.M. Yokoyama, et. al.